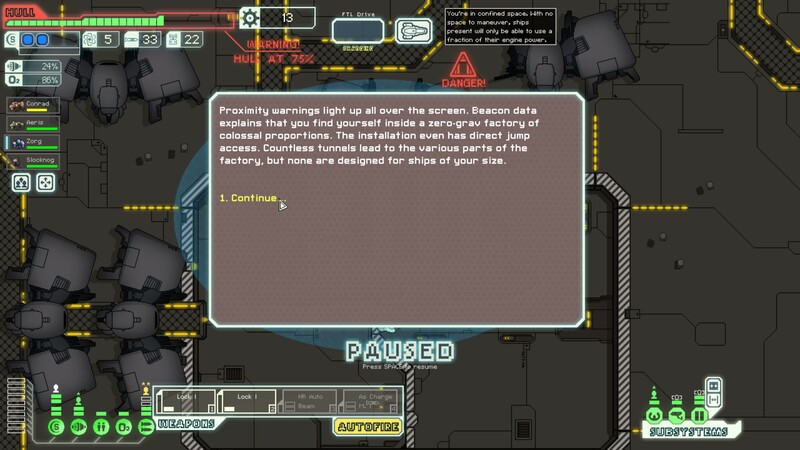 I'm having an issue where FTL CE freezes and then crashes after click a dialogue option. I'm running CE infinite w. the infinite weapons mod. Attempted solution: Reinstall mods. Did nothing. After trawling through the data files, and reverting to 1.6.7 as well, I can't seem to find any rhyme or reason. type_beam_chain doesn't even appear anywhere in the patched ftl.dat as far as I can tell, so why it is showing up there is beyond me, unless the game generates the 'type' based off the base weapon type, beam, and there's no such thing as a beam chain. Or whatever. I don't know.